Q. 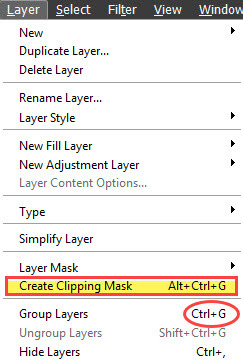 When I use the shortcut key, Ctrl + G, to create a Clipping Mask it’s not working right. Why? A. It’s not your fault! The new shortcut key to create a Clipping Mask is Alt + Ctrl + G.
Ctrl + G was the shortcut key to create a clipping mask through version 14. But starting in Version 15, Adobe introduced Grouping and the shortcut key Ctrl + G is now the shortcut key for Grouping.